We are proud to announce the very first Tea Legends legendary Tea Club tea! Wow. After talking with you guys, and after a lot of feedback we decided to move away from the shop and make everything a bit more personal. 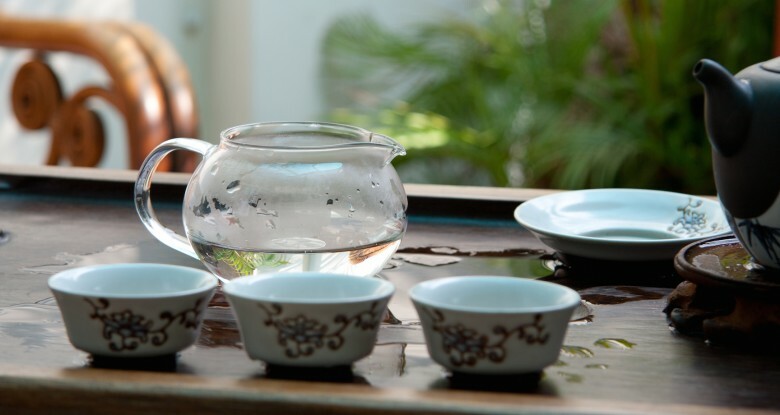 This means that we will now select a new quality tea every month that you can enjoy at home. And we will only select teas that we drink ourselves. We select one tea every month and send you an email about it. For March we have selected a rock tea from our beloved Wu Yi mountains that we hope you will appreciate. A golden smooth biscuit-y liquor with hints of spice and an uplifting sweet aroma. Perfect for mindful drinking, deep contemplation or meaningful conversation with friends. This loose leaf tea comes in 50 gram bags. For best result we recommend that you use a ceramic pot and put the tea leaves in directly and then pour freshly boiled water into the pot. Experiment with how much tea and how long you want to let it brew for your pot as different sizes require different amounts. It is great to consume natural products, they are so much better for the body than sugary drinks like coke. That can be so bad for the body with continued consumption. I try to watch out for my health as much as I can, and I even take a natural health supplement called KratomMasters which works great for me. I highly recommend it if you have been looking for a good one by the way. Update: The tea is now in shipping. More on dates later.